Berkhamsted Town Hall is licensed for Weddings and Civil Partnerships and offers three superb, versatile rooms of various sizes for wedding receptions, ceremonies, private parties and meetings. There is a completely equipped kitchen for the use of our contracted caterers who can provide anything from a finger buffet to a three course sit-down meal. 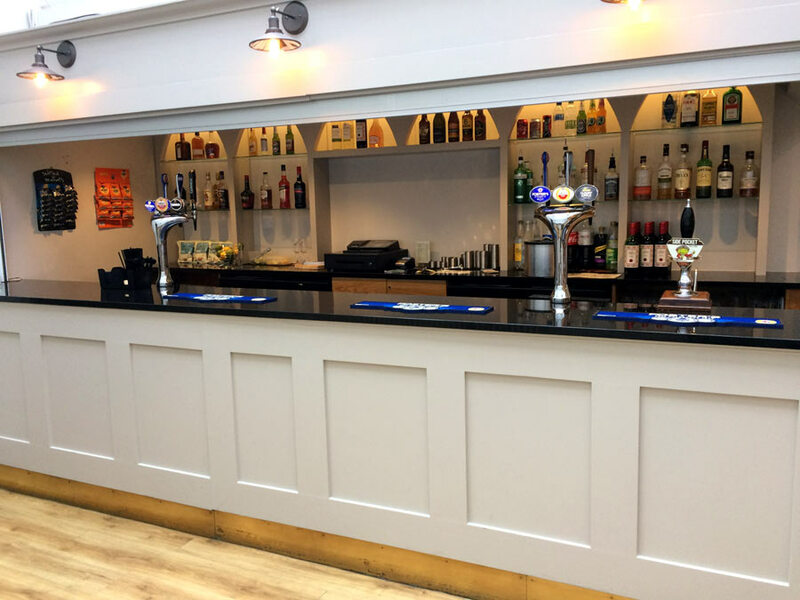 A full bar service is included in the hire price and a comprehensive range of menus and wines are available. Our modern Bar is run by Marie Clout. Two of the Town Hall’s three rooms are licensed for wedding ceremonies. For a wedding ceremony, the Great Hall can accommodate 170 seated guests and the Clock Room can accommodate 80 seated guests. For enquiries and bookings taken after 31st January 2019 the cost of hiring the Great Hall for a wedding ceremony is £300.00 and the Clock Room is £200.00. Costs associated with a reception are provided below. Please note that if the reception is held at the Town Hall there is no additional charge for the ceremony. If both the ceremony and the reception are to be held at the Town Hall, then it is recommended that the ceremony is held in the Clock Room. Full day hire (08:00 to 24:00) of the Town Hall costs £1,350.00. Half day hire (12:00 to 24:00) of the Town Hall costs £900.00. Evening hire (18:00 to 24:00) of the Town Hall costs £600.00. An extension from 24:00 to 01:00 can be obtained for £85.00. Hires require a 20% deposit with the balance becoming due a month prior to the hire. The deposit is required when the completed booking form is returned. 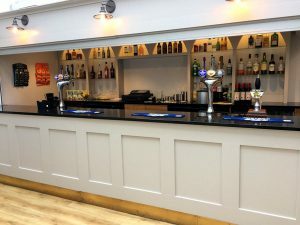 The hires include the use of the Town Hall bar and bar staff, plus the provision of door security from 19:00 onwards as well as the exclusive use of the Clock Room, Sessions Hall and the Great Hall. In the Great Hall, for the comfort of our guests we have limited the number of guests excluding those on the top table for a sit down served meal to 96 (12 round tables of 8 guests). For a help yourself buffet the round tables can accommodate 9 guests per table, or at a push 10. The Great Hall without tables and chairs has a guest capacity of 200 in the evening. Disabled access is available via a lift at the back of the Town Hall. The Great Hall has a floor space of 177 square metres and without tables and chairs has a party capacity of 200. Theatre style, it can accommodate up to 170 guests. The Clock Room, which is a ‘L’ shaped room has a floor space of 103 square metres and theatre style can accommodate up to 80 guests. The Sessions Hall has a floor space of 82 square metres and theatre style can accommodate up to 60 guests. Download a floor plan of the rooms. Our Conditions of Hire state that the hirer must use the contracted bar and catering facility, otherwise you are free to arrange your own entertainment, flowers, decorations, photographer, wedding cake etc. in fact, anything else that puts your personal seal on the day.